Lets get right to the sweets!!! Our Jumbo Gourmet Chocolate Chip Heart Cookie Sandwich is sure to be LOVED by all! 2 freshly baked chocolate chip cookies, sandwiched between smooth chocolate ganache- and hand decorated to perfection! Our Heart Breaker is back by popular demand again this year! Last year we sold out- so place your orders early to avoid disappointment! 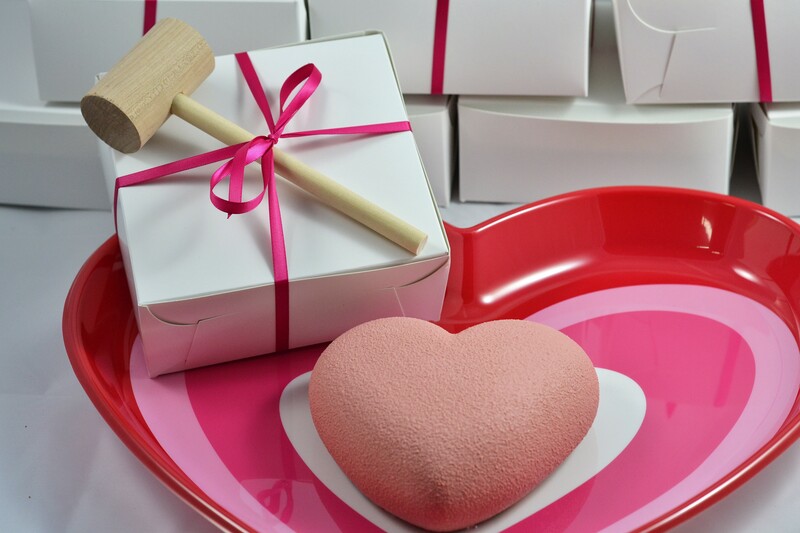 A pure Belgian Chocolate heart, filled with a plethora of goodies- it comes with its own wooden mallet (for smashing) and gift box!! Our Chocolate dipped Strawberries and Chocolate Strawberry Roses are sure to create the wow factor you’re after! These come as singles or dozens- are are available in very limited quantities! New this year!!!! It’s a “ME PARTY”- great for sharing- but made especially for you- we recommend keeping it all to yourself (wink wink)! Made with our delectable house made caramel corn, drizzled with gourmet Belgian Chocolate and a unique trail mix of sweet confections (including pretzels, cinnamon hearts, chocolate buttons and sweet pearls). Available in 2 sizes! 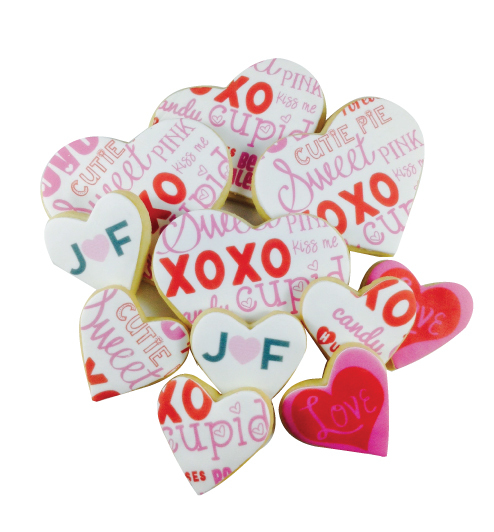 Our amazing hand decorated Belgian Chocolate heart truffles are a great way to show your love! Available in a 2 or 4 pack! Contact one of our team members for additional details!! !